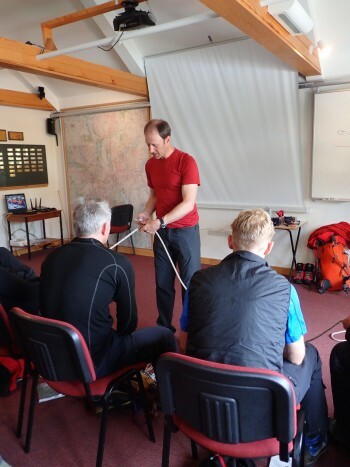 Mountain rescue teams from all across Cumbria received vital rope training thanks to help from the John Winder Fund. 32 volunteer members from teams within the Lake District Search and Mountain Rescue Association (LDSAMRA) took part following a grant of £2,000 in March 2015. 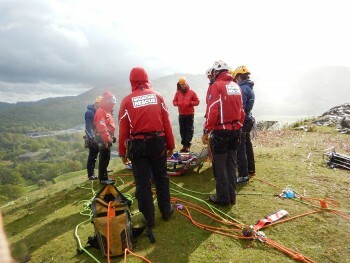 LDSAMRA is the umbrella body for mountain rescue teams in Cumbria. The twelve member teams include Cockermouth, Coniston, Duddon and Furness, Kendal, Keswick, Kirkby Stephen, Langdale Ambleside, Patterdale, Penrith and Wasdale. Training was provided by leading specialist in mountain-guiding, Kirk Mauthner. Kirk’s experience in mountain safety in the National Parks of Canada, and knowledge of technical rope rescue, made him an excellent tutor to the Cumbrian volunteers. A total of eight training days were provided in May, split into three courses hosted at Patterdale and Langdale/Ambleside mountain rescue stations. Find out more about the John Winder Fund to see if your community or voluntary group is eligible for a grant.